The global exoskeleton market is projected to witness a compound annual growth rate of 38.61% during the forecast period to reach a total market size of US$3201.60 million by 2023, increasing from US$451.37 million in 2017.  The global market for exoskeleton is largely driven by recent advances in technology coupled with rising adoption of exoskeletons in the military and industrial sector. The growing demand for exoskeleton in rehabilitation, as well as increasing number of people suffering from spinal cord injuries, will boost the demand for exoskeletons. The continuous product innovation will augment the demand for exoskeletons in the coming years. In addition to this, the rising adoption of exoskeletons in developing countries will further add to their demand over the projected period. Geographically, Americas accounted for the largest share in 2017 and is expected to grow at a high rate. The major factors responsible for this growth are the ongoing technological development and high-speed technology adoption within the region. Moreover, the rising government support coupled with increasing number of approved products by the US FDA will further contribute to the market growth. In addition, the region consists of a large population with traumatic brain surgeries, spinal cord injuries and cerebral palsy which results in a steep rise in the number of rehabilitation centres. Major industry players profiled as part of the report are Parker Hannifin Corporation, Hocoma, Myomo, Inc., Ekso Bionics, ReWalk Robotics, and Cyberdyne, Inc. among others.